Guerrilla Cambridge Closing its Doors | Nerd Much? The announcement was confirmed today with Games Industry. Sony stated that the decision to close the studio came after reviewing all their current projects and resources. “In order to deliver on our strategic objectives, it is necessary to make some changes to the European studios structure,” says Sony. Playstation has assured that they will relocate people to other projects wherever possible. They will also assist the staff by speaking to other local developers about any recruitment prospects. Luckily, Cambridge is a mecca of UK developers. Studios like Frontier, Ninja Theory, Jagex, and more are all based nearby. “Whilst we accept that this decision will mean that we risk losing high calibre staff, by focusing on other Studios with exciting new projects in development, (including continued work on PlayStation VR), we believe we will be in a stronger position going forward and able to offer the best possible content of the highest quality to our players,” continued Sony. 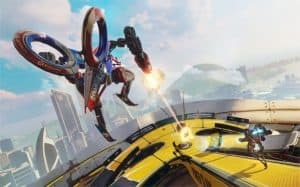 Guerrilla Cambridge is more recently known for its work on the VR game RIGS: Mechanized Combat League. Previous works include MediEvil and PS Vita shooter Killzone Mercenary. For anyone who was worried, this won’t have any affect on Horizon: Zero Dawn, Killzone, or any other projects Guerrilla Games proper is working on. While it is a shame to lose Guerrilla Cambridge, the workers will surely find some other great place to work. This is the life of a video game developer. There’s always another project for them to be part of.